Tesco is preparing to phase out their 22c single-use plastic bags in all of their Irish stores. The supermarket chain, which has 149 branches across the country, is hoping to become more sustainable by encouraging customers to re-use bags when they shop. 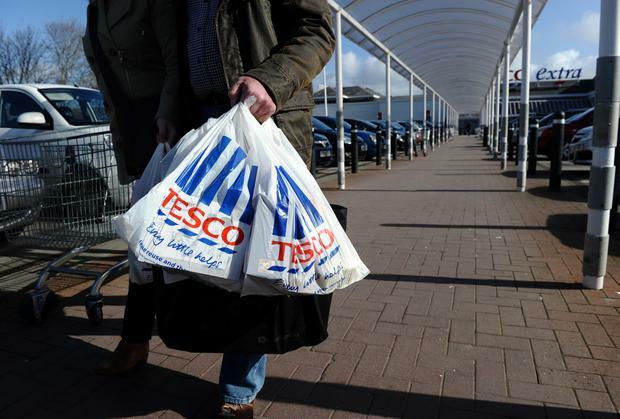 “We are in the process of gradually phasing out our 22c bags,” a spokesperson for Tesco Ireland told Independent.ie. The plastic bag levy was introduced by the Department of the Environment in 2002 at the rate of 15c per bag, which was raised to 22c in 2007. The fee resulted in an immediate decrease of over 90pc in the number of plastic bags in circulation. Usage fell from an estimated 328 bags per inhabitant per year when the levy was introduced to just 21 bags per capita within a single year. In 2014, that number dropped even further to an estimated 14 bags per capita. “We made this decision following feedback from customers and requests from local councillors to help reduce environmental pollution,” the spokesperson said.